IASW: “Steelers Will Bring Home Lombardi #7 in 2017” | "IT'S A STEELERS WORLD"! Trust me, when I say that I have traveled down many..many..many avenues. Taken every “ifs..ands..and buts”..as well as struggle through every single “trial and tribulation” imaginable. 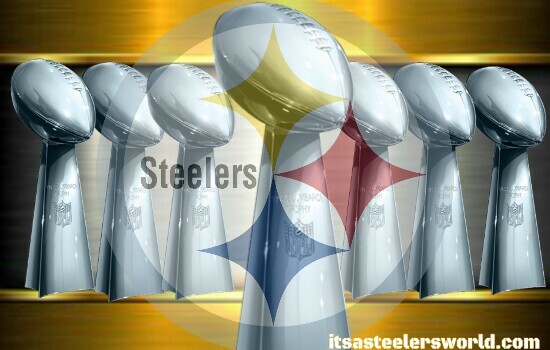 But I still cannot see or find a reason why the Pittsburgh Steelers will ‘not’ bring home Lombardi #7. Is it favoritism because they have been my team since birth, back in 1969? No. Is it because if I predicted otherwise my followers would disown me? No. Is it because I am riding the “Anyone But The Patriots” bandwagon? No. It’s because I have common since. Let’s take a look at the statistics..shall we? The Steelers go 10-6 last season. 10-6 without the likes of running back, Le’Veon Bell for 10 regular season games, receiver, Martavis Bryant for 5..and proverbial Hall of Famer quarterback, Ben Roethlisberger for 4 games, yet still threw for nearly 4,000 yards. Not enough to grab ya? OK.
How about the fact that after all the missed action from future Hall of Famers, the only reason the Steelers did not advance to Super Bowl 50 was due to a Fitzgerald Toussaint fumble? Still not enough to spark your attention? OK.
What about the fact that Steelers wide receiver, and hands down “The Best Receiver In The League”.. missed that playoff game in Denver because of an apparent “illegal hit” by Cincinnati Bengals linebacker, Vontaze Burfict. A hit that resulted in a concussion that one, Adam “Jackass” Jones thought was fabricated by Brown. Only to later apologize for his comment. Sure, the Pittsburgh Steelers will be without Martavis Bryant this season, due to reasons that need not be mentioned. But the Steelers still have weapons in the receiver position. Unsung weapons to be exact. And Markus Wheaton, Sammie Coates as well as Darius Heyward-Bey have what it takes to prove themselves worthy. And let’s not forget #AB84.